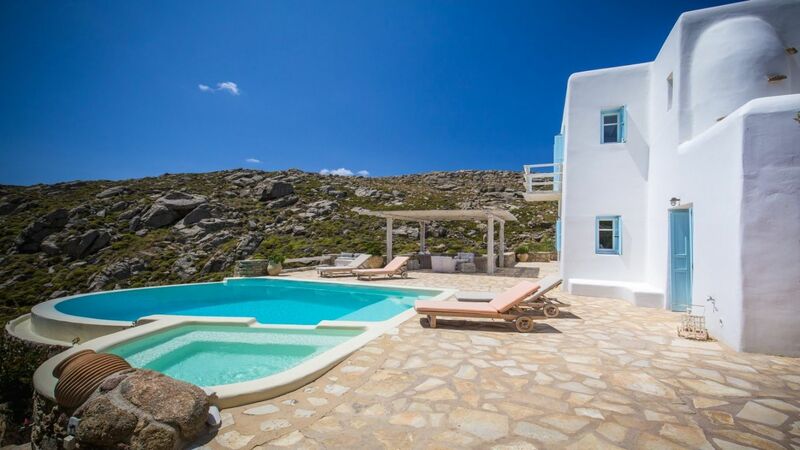 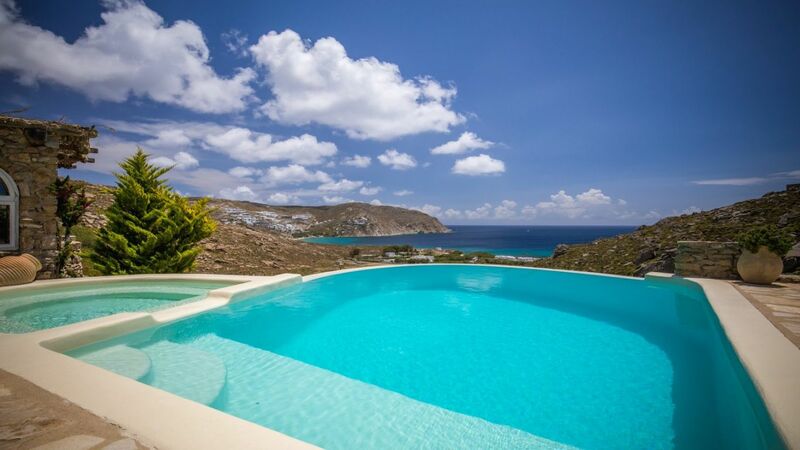 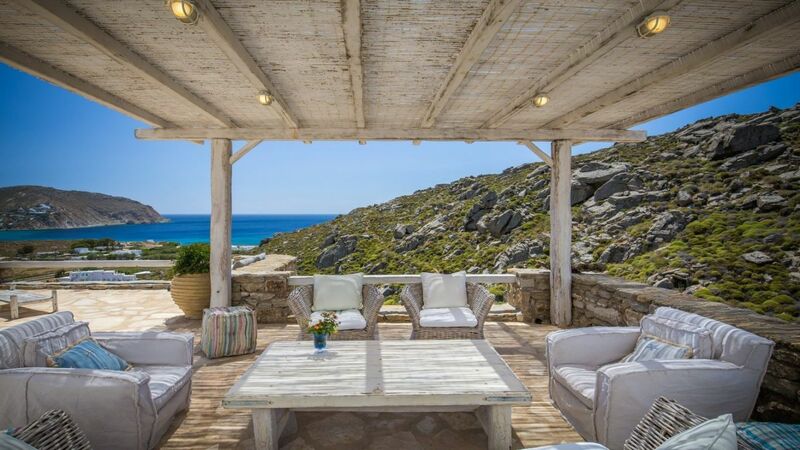 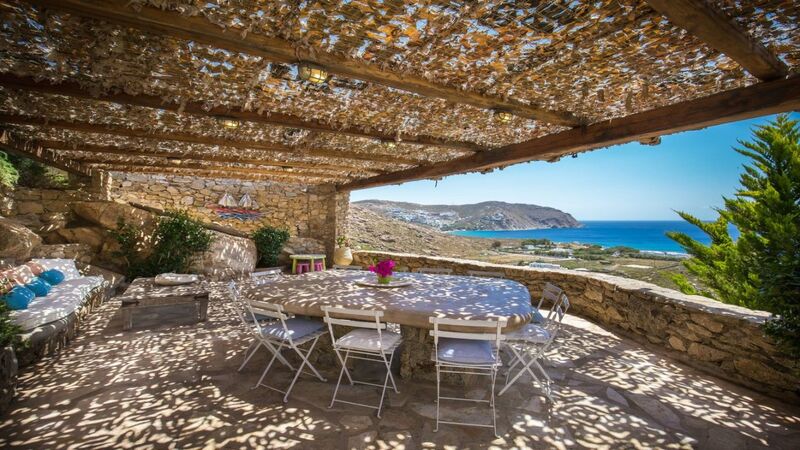 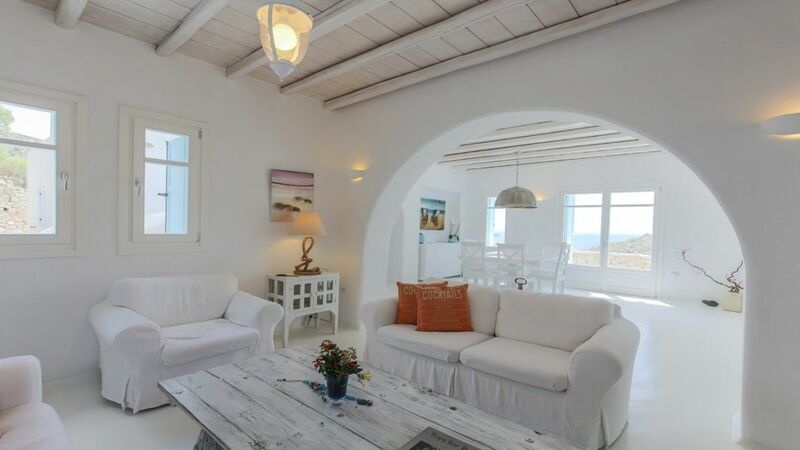 Villa Tanya is an elegant and spacious family villa, facing South in a privileged wind-sheltered location above the marvelous golden sand Agrari Beach with magnificent views of the Aegean Sea. 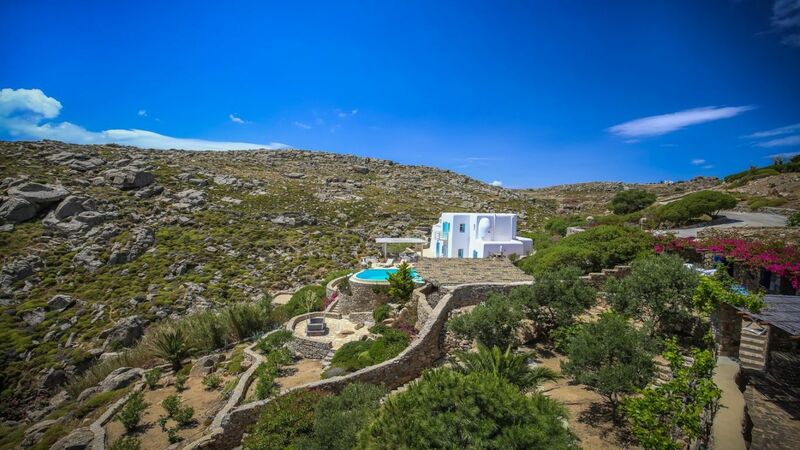 Although located just 10 minutes by car from town, the property is offering tranquility, privacy, and stunning scenery. 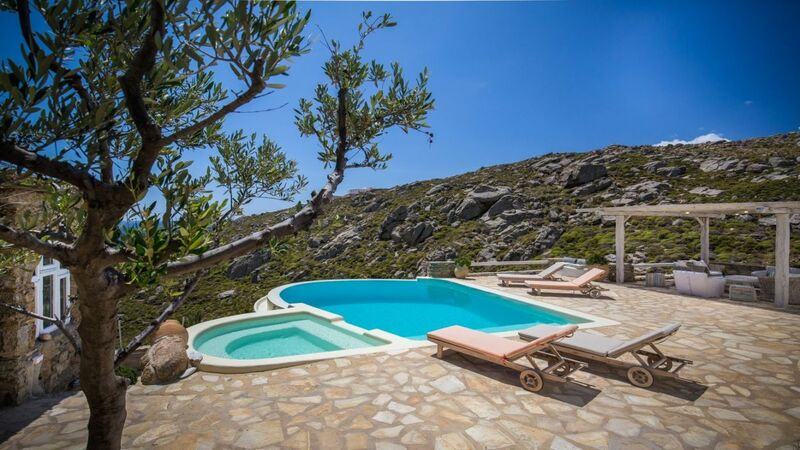 Agrari Beach, with its intimate charm and crystal clear water, is just a quick 10 min walk downhill. 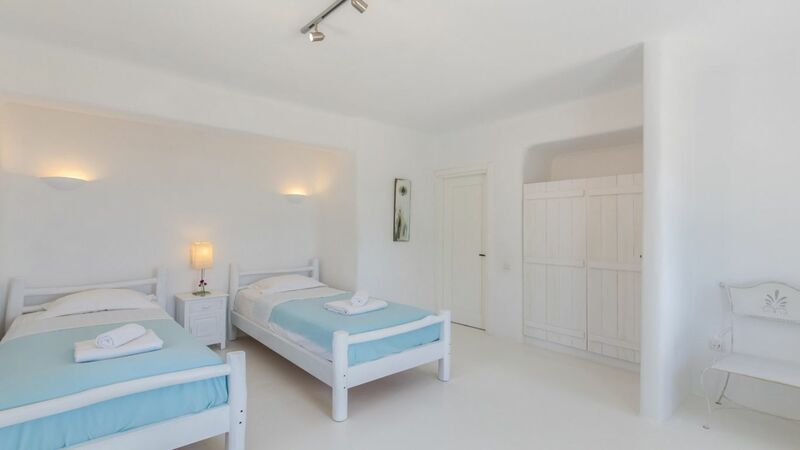 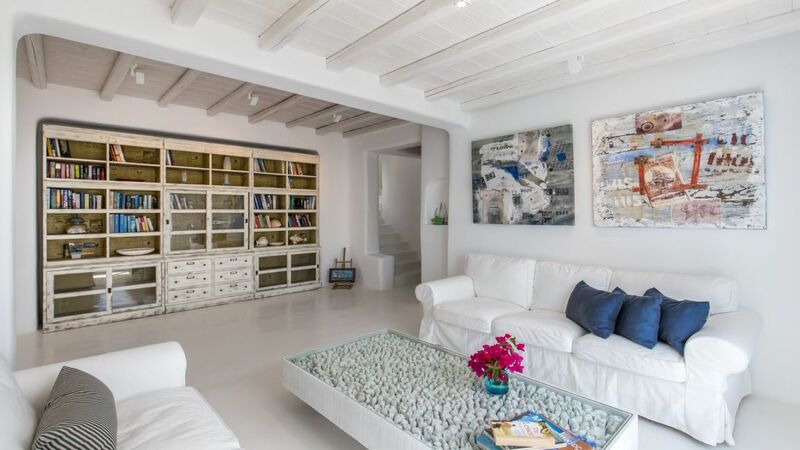 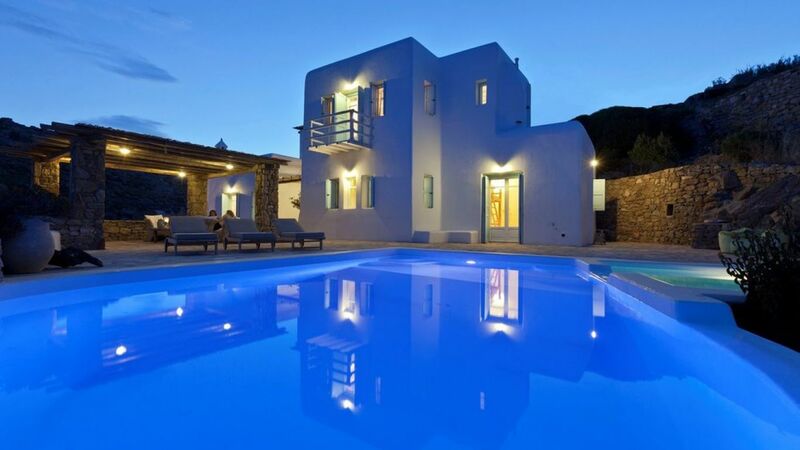 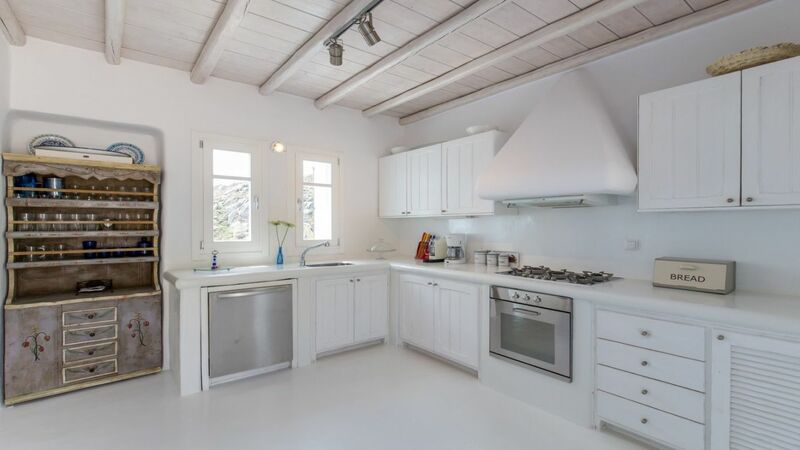 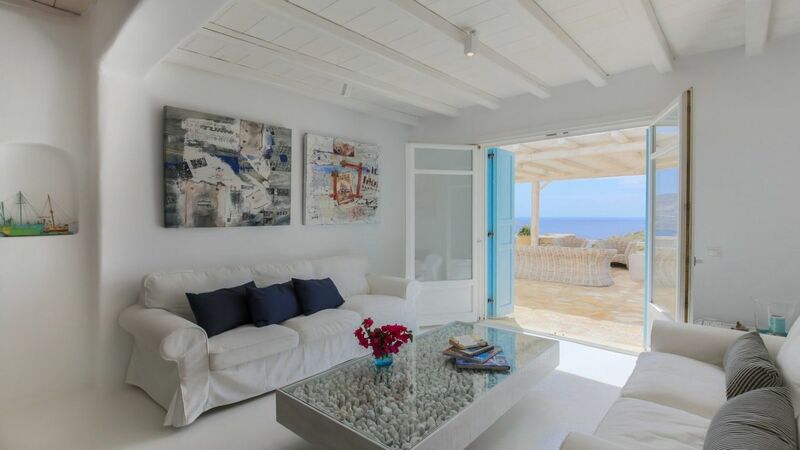 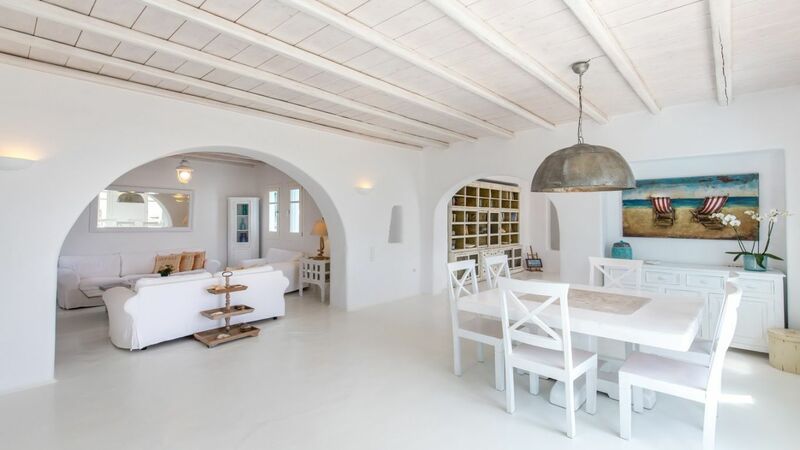 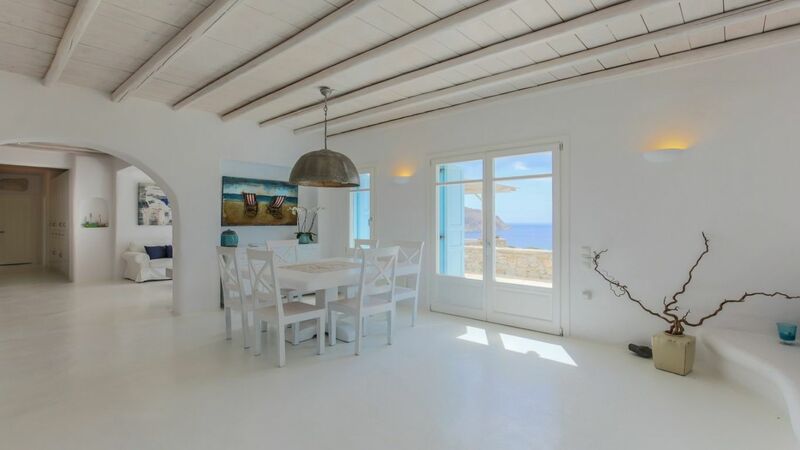 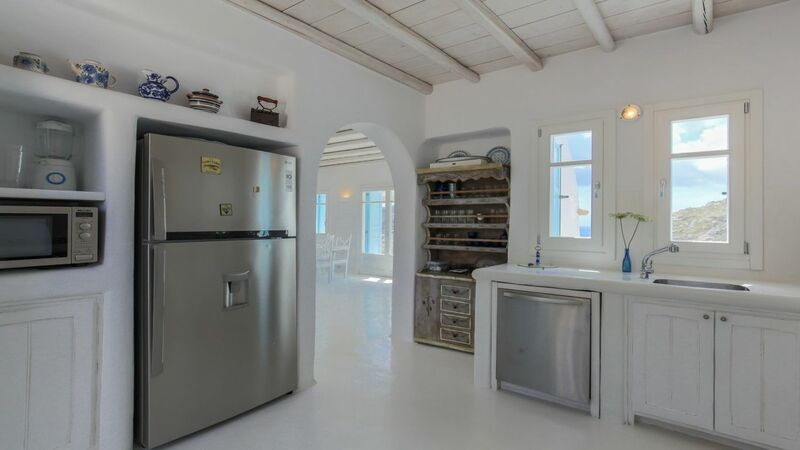 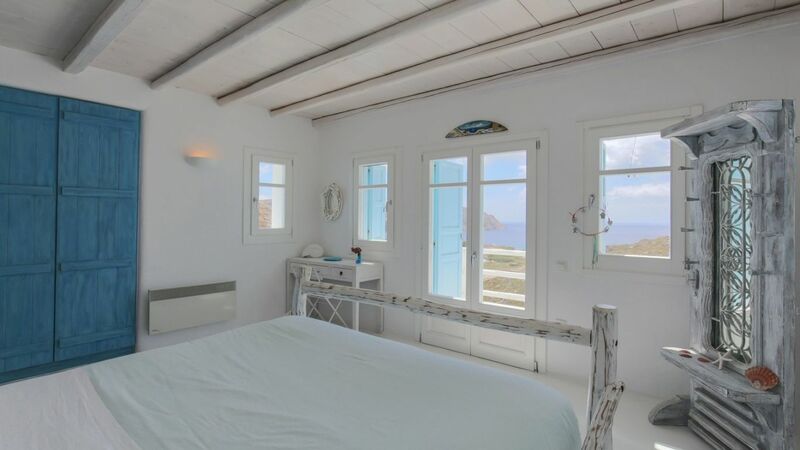 The villa's charming interior, schemed in light blue, white and ochre, could be described as “beach house style” combining traditional elements of Cycladic architecture with provincial selected details.The fully equipped kitchen with modern appliances gives onto a pleasing living-sitting space directly accessing the swimming pool and its wide terraces. 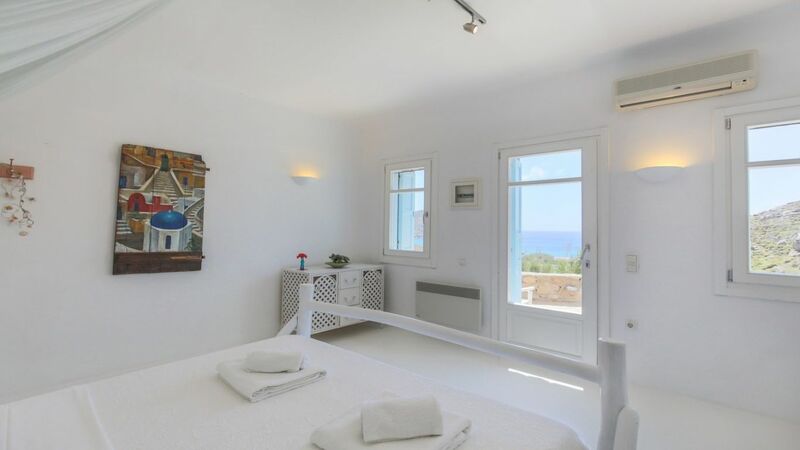 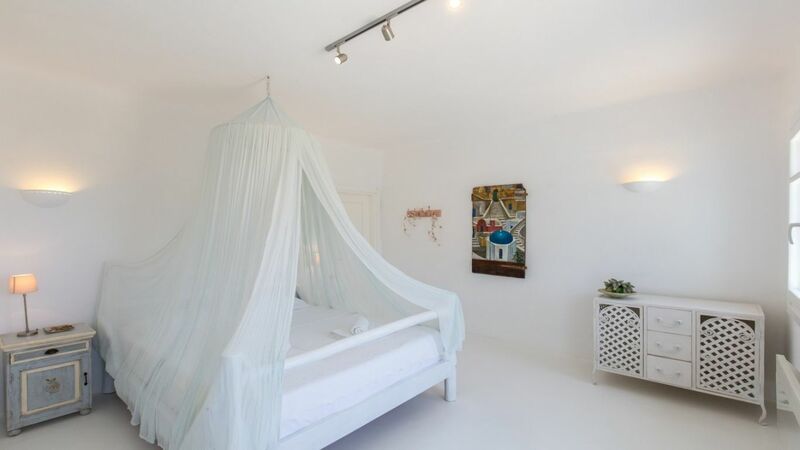 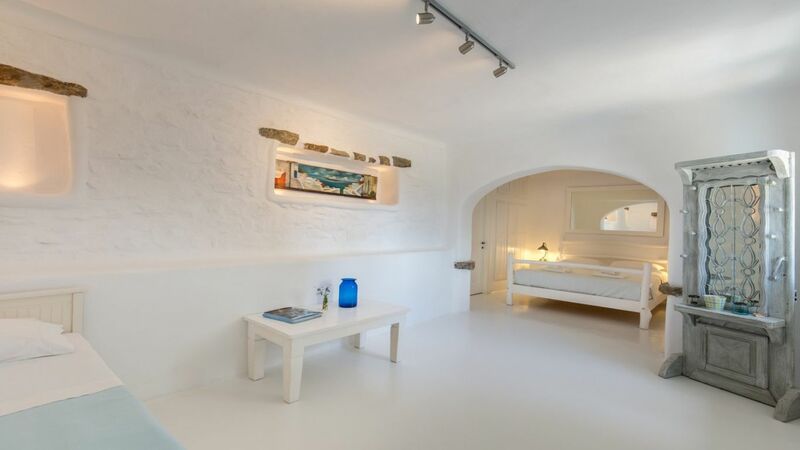 This lavish property has 6 bedrooms in total, 3 in the main villa and another 3 guest studios. 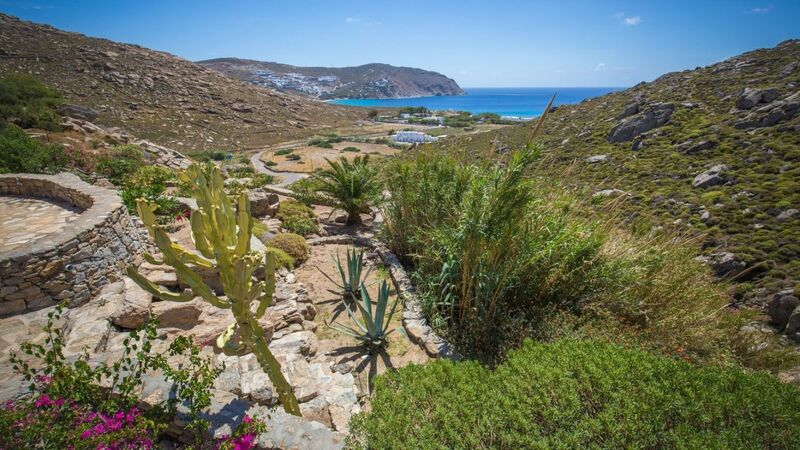 The outdoor spaces, surrounded by rocky hills and Mediterranean herbs, embrace the true spirit of summer life as they allow living each moment of the day in total comfort and relaxation. 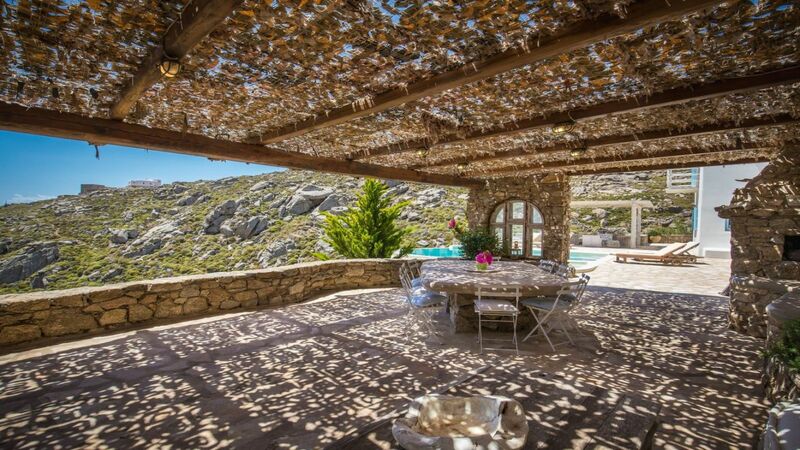 An array of two-level sitting areas and one distinct dining/lounge pergola-shaded area, paired with a stone-sculpted dining table and a traditional wood fire BBQ, is offering guests a perfect entertaining area. 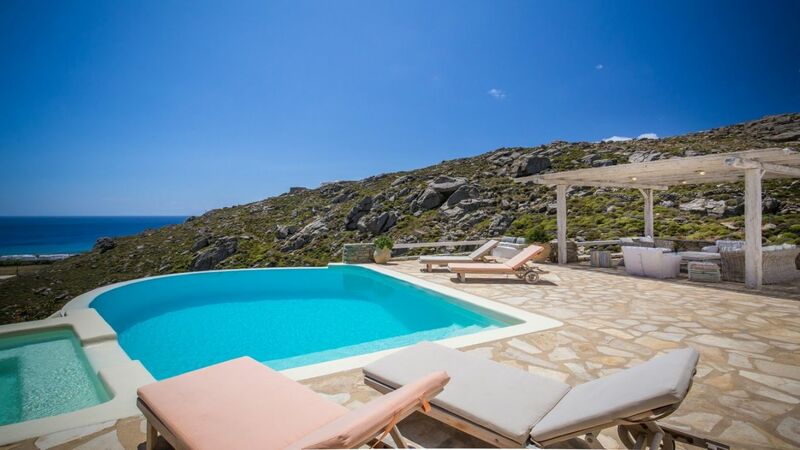 An elegant infinity pool surrounded by a very spacious sun deck with comfortable summer furniture dominates the villa’s terrace well accompanied by a covered pergola providing shading.